What I love about being a blogger is trying out new things. 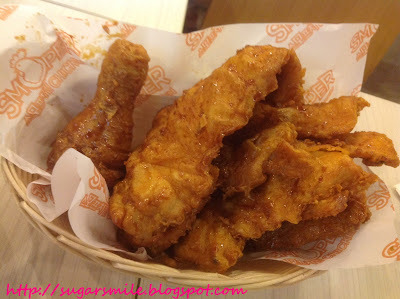 So when I got an invite to try out Korea's Smoper Chicken, I was too happy to oblige and see this for myself. Dubbed as Korea's "Jollibee", with over 800 branches in their country, Smoper Chicken has finally landed in the Philippines and has more to offer. Their first branch opened at One McKinley Place (26th St. cor 4th Ave., Bonifacio Global City, Taguig City) last April and so far, yuppies, students and condo dwellers within the area have been trying out this foodie haven. 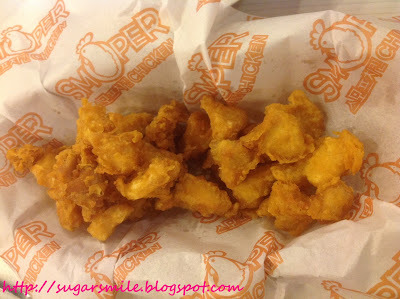 From the name itself, Smoper Chicken is popularly known for their Korean Chicken. You can choose either drumstick, thigh or breast part, (and I recommend the breast part because they're really big!) glazed with the sauce of your choice. Their variety of sauces include Original, Spicy, Soy Garlic, Curry (a must-try) and Tukgangjung (sweet-spicy blend). During our visit, I was enthralled with the Tukgangjung since I am a fan of sweets and its spicy flavor lingers while you consume them. I also applaud on how big their servings are. Definitely bigger from that the mainstream Korean chicken stores around. 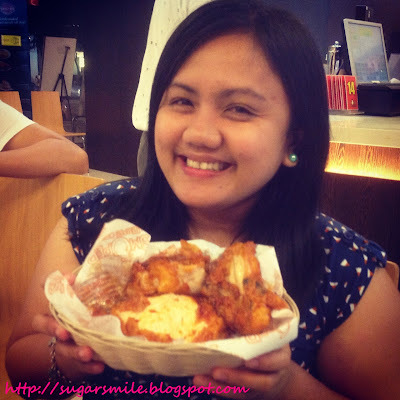 I also loved the fact that their dishes are reasonably priced (So please, please open at Ortigas soon?). The one-piece chicken meal comes with a cup of rice and drink for only Php95 and the two-piece chicken meal is priced at Php140. Aside from the chicken, they also offer Korean favorites like the best-selling Japchae (Php150) and Bulgogi (Php150). 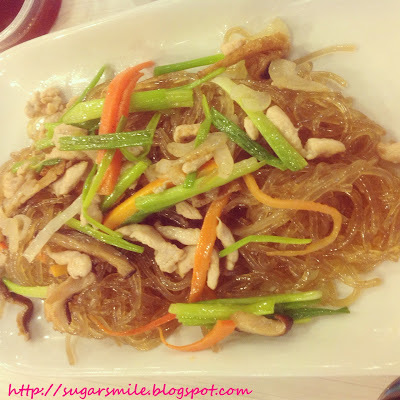 The noodles of their Japchae are so soft, you'll know that it's an authentic Korean recipe. They also sell fish sticks as appetizers. 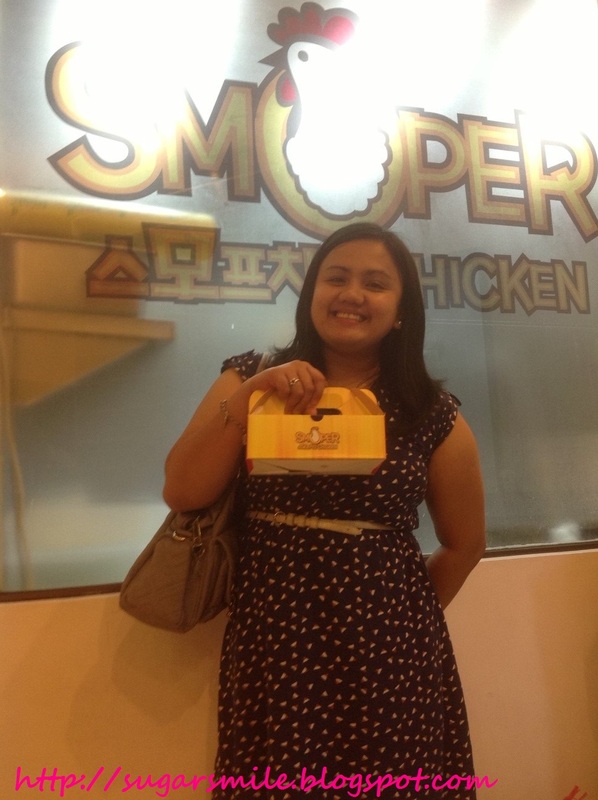 Smoper Chicken also offers Bibimbap, the signature Korean dish. This has been my favorite in their rice meals because the vegetables are freshly prepared (And excuse me for being shallow but look how cute it looks like). 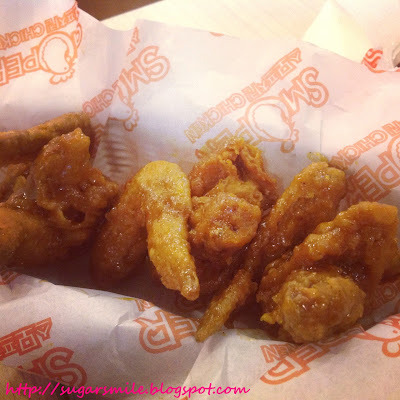 If you do not want the heavy meals, you can always order their Popcorn Chicken, Chicken Skin or Chicken Sandwich. I'm sure that this will be a perfect snack for those who are craving for something they could munch on just about anytime. Taking this home for the gang! Bring everyone you know at Smoper Chicken, for they also have Regular, Large and Family-sized servings, You know it's more fun when you eat with someone, right? 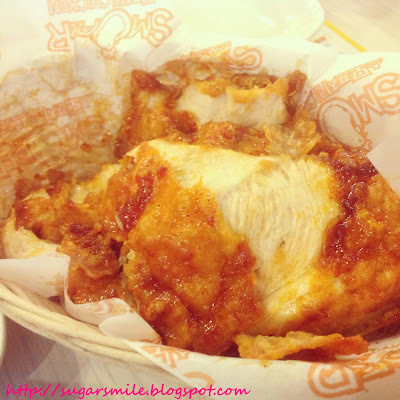 Visit them now and see why Koreans are loving this fried chicken joint for many years now. 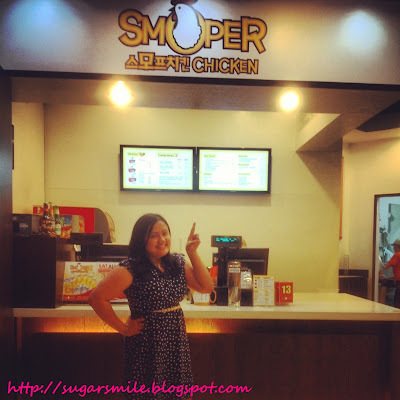 SMOPER Chicken is located at One McKinley Place, 26th St cor 4th Ave, Bonifacio Global City, Taguig City, open Monday to Thursday (10 a.m.- 10 p.m.), Friday (10 a.m.- 11 p.m.), Saturday (11 a.m. 9 p.m.). Call 403-1739 for inquiries and delivery.